Price rises are encouraging steel strap users to convert from traditional trusty rusty steel strap, to the safer, stronger and more cost effective option of polyester (PET) strap. 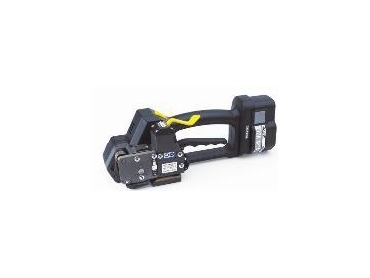 Fromm P325 is a new generation, battery-operated tool from Fromm , designed specifically for the application of PET strap. The Fromm P325 is a lightweight tool that is ergonomically designed with efficiency in mind. The easy one-handed operation can strap from all positions and tensioning of the strap is as simple as pressing a button. “The money saved from using PET strap instead of steel, can often pay the cost of acquiring this new tool. And at AWS, we offer our customers the option of renting or buying the tool,” said Greg Doyle. Pneumatic tools and in-line systems are also available from AWS. AWS is the exclusive distributor of the Fromm P325.